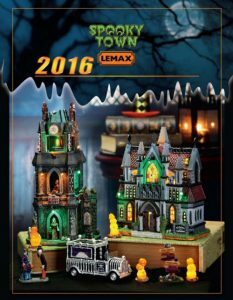 Spooky Town will hit Michaels stores some time in late July, at that time “Michael’s exclusive” pieces will be announced. Does anyone else set up a village at halloween? We’d love to see pictures!